Grasslands or prairies have a wide variety of animals inhabiting them. Small and large mammals have adapted to the open plains that extend over North America, Eurasia, Australia and Africa. 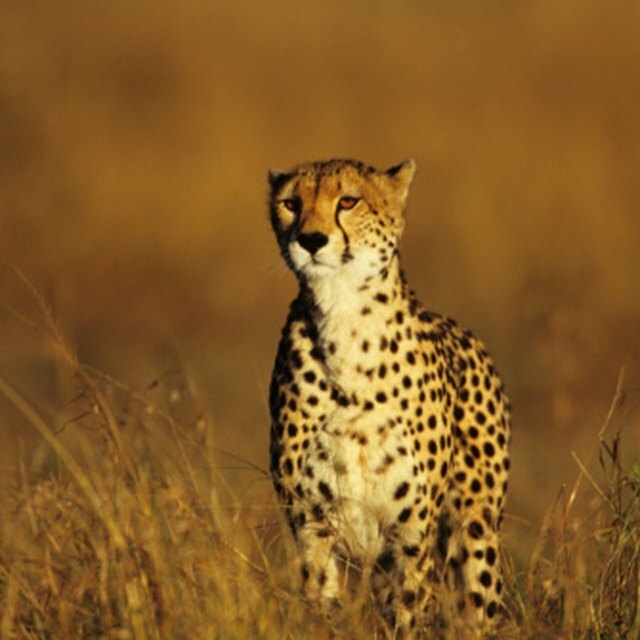 Grassland animals have had to adapt to survive attack, the harsh environments and the limited food options. Adaptations of grassland animals are characterized with generalizations that apply across the different species of the different continents. Animals on the prairies and in the grasslands are exposed to their predators because of the openness of the landscape. To avoid being attacked or killed these animals had to adapt to their environments in ways that protected them, camouflaged them and allowed them to escape predators. Small mammals are often burrowing creatures. As a result they can have many holes and burrows to escape into when they are being chased by a predator. Their limbs are shorter and they tend to have either sharp claws or teeth that can dig away the dirt. These mammals often have coats of fur that are an earthen color so that they are well hidden in their environment. Larger mammals also utilize a camouflage technique. While small mammals tend to be solid colors, larger animals often have contrasting colors in their fur. Grazing mammals can be seen to have coats that are black and white, brown and white, or black and brown as a means to stay hidden on the open landscape. Grasslands offer a limited diet for herbivores (plant-eating animals). As the name suggests, the landscape offers grasses. 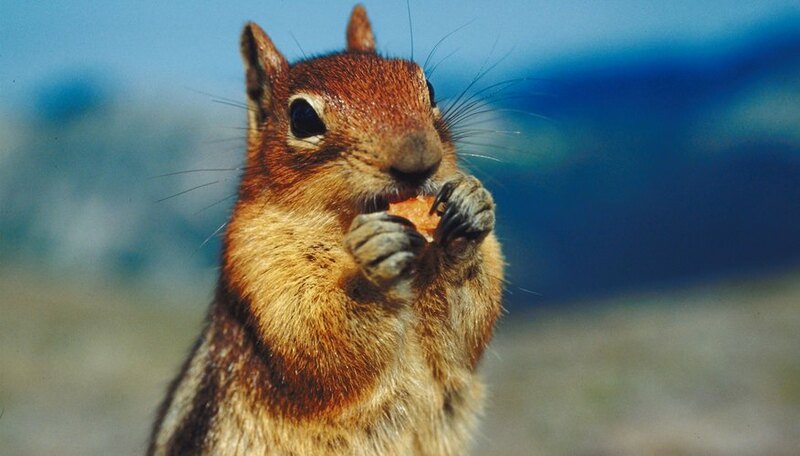 For smaller animals there are also seeds, shrubs, weeds or flowers that may be eaten. Smaller mammals have adapted to have pouch-like cheeks. These cheeks allow them to stockpile a large amount of food, more than they need to eat at that time. They then carry the food back to their burrows, store it in the ground, and feed off of these food stocks during the winter months when they are sealed in their burrows. The larger mammals survived by eating large amounts of grass. These grasses are very hearty and difficult to digest. As a result, the grassland animals have developed a digestive system that relies upon more than one stomach to complete the digestive process. There are several survival techniques used by different grassland animals. The one commonality on the plains is that there is some form of communication to alert others of danger. Often, when an animal senses danger it alerts the rest of the community by using a stamping or noise-producing technique. The sounds alert all of the animals of that species of an approaching danger. Smaller mammals will respond to an alert by heading to their burrows or other hiding places, such as under rocks, roots or other protective areas that a predator cannot enter. Larger mammals have a different technique that is critical to their survival. The appearance of herds is one adaptation for safety. In a herd the animals have a better ability to see approaching danger and respond accordingly. If there is a need to flee, the herd also allows the animals to scatter. When a predator sees a herd scatter it becomes confused. If a predator tries to chase more than one animal, it will lose them all, and yet, predators often chase more than one mammal. The reason for this failed attack approach is not because the predators are ill-suited to attack. Actually, the speed and agility of the grazing mammals allows them to jump in and out of the predators field of vision and thus create a chaotic movement that is harder for them to respond to well. Predators have their own adaptations that give them advantages to hunting. Birds have incredibly keen eyesight with an ability to differentiate colors with great precision. In this way they can easily see their prey as a distinct object from all of its surroundings. Also, their powerful beaks and talons and ability to dive-bomb at great speeds makes them dangerous adversaries for small mammals. Larger animals have an ability to hunt in a stealthy manner. They can creep in the short grasses without being easily detected. Their pouncing abilities gives them a fast attack too. Once engaged with their prey they have powerful limbs and sharp claws that can dismember prey. Their jaws can apply crushing pressure while their teeth can easily tear into flesh, and they can maintain their grip on a prey well, even though the animal will try to thrash their way to freedom. David Halbe entered the writing field in 2010. He brings expertise in the sciences, education, technology, health and wellness. Halbe has a Bachelor of Science in education from Indiana University of Pennsylvania and a Master of Science in administrative leadership from Central Connecticut State University. Halbe, David. "Animal Adaptations for Temperate Grasslands." Sciencing, https://sciencing.com/animal-adaptations-temperate-grasslands-8175993.html. 13 March 2018.